The group visited St. Mary of the Angels and the famous Porziuncola, the little church rebuilt by St. Francis of Assisi, and which housed him as he died. In the garden of the church, they saw the thorn-less roses that sprung up when St. Francis threw himself upon them to escape temptation. The small grove of smooth-stemmed roses is unique in all the world. Upon returning to campus around lunchtime, the group recuperated and then headed to a class on St. Ignatius of Antioch. Word has it that the night was punctuated by karaoke. Things returned to normal today for the group as they were up and out early, headed underground to explore the Catacombs of St. Sebastian. In the afternoon and evening, they were back to two classes (one on the Eucharist, another on the Antichrist!). 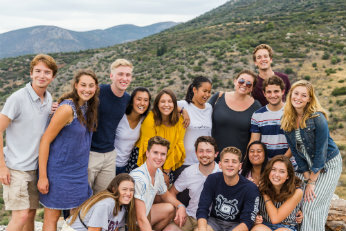 The Shakespeare in Italy and Rome & the Catholic Church students toured the lovely town of Orvieto, home not only to astounding Signorelli frescoes, but also to a Eucharistic miracle. After hearing on-site lectures on the Christian view of the body, the Franciscan influence on the revival of theater in medieval times, the Corpus Christi miracle, and the 'Angel of the Apocalypse,' they had time to explore the Duomo and then the town, for lunch. This evening, they prepared for tomorrow's visit to the Vatican Museums. The group spent the morning wading through the treasures of the Vatican Museums: Giotto, Rafael, Caravaggio, da Vinci, Fra Angelico, Michelangelo, to name a few, including of course the Sistine Chapel. After returning to campus, we had two classes -- and two very lively discussions -- on Hell and Purgatory. Nothing like seeing The Last Judgment to set the tone. Today the group had the opportunity to view what tradition holds to be planks from the crib of the baby Jesus, and later, to visit the Cathedral of Rome, the Pope's Church: St. John Lateran. We spent a lovely morning in Rome, visiting two major basilicas and another church off the beaten path, which houses the original icon of Our Lady of Perpetual Help. The morning was punctuated by Mass at Mary Major and -- of course -- gelato. 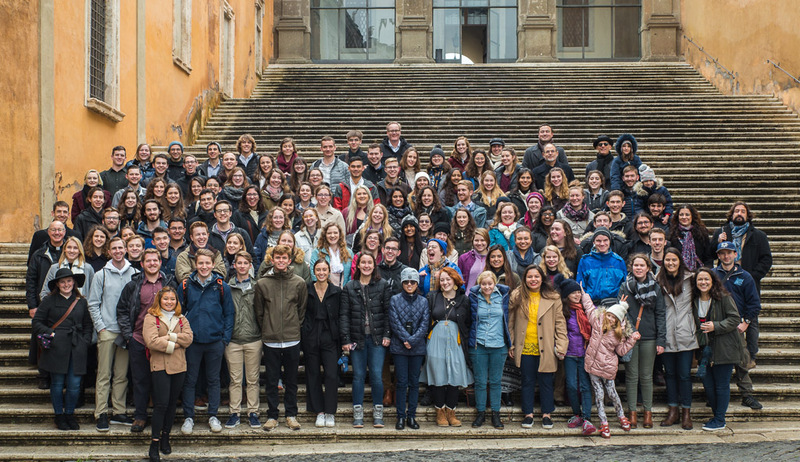 The students wrapped up their last full class day at three moving sites: St. Paul Outside the Walls, The Abbey of Tre Fontane, and The Church of the Virgin of the Revelation. At the beautiful basilica of St. Paul (built first by Constantine), we saw the sarcophagus of St. Paul. At Tre Fontane, we saw the very place he was beheaded, and the three places where, according to legend, springs of water flowed forth when his head hit the ground. At Santa Maria della Rivelazione, we saw the place where Our Lady allegedly appeared in 1947. The group enjoyed a relaxed day on campus. Following Mass with Fr. Brown, they met for a wrap-up and review and then spent the afternoon preparing for their final (which will be held tomorrow). In the evening, they joined the other two groups for a lovely, sunset Forno dinner. The students said goodbye to Rome in style. 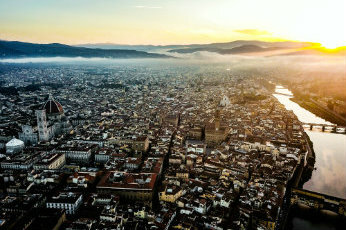 After taking their final exam, they headed to the city for a full afternoon and evening in the Eternal City. Beginning at the Spanish Steps, they visited the infamous Capuchin Crypt (a.k.a. "The Bone Church") and the Pantheon before having some time to explore on their own. Many made their way to the Trevi Fountain. Three weeks in Italy wrapped up with a tasty feast at La Quercia, and finally, a stroll through the charming streets of Trastevere.